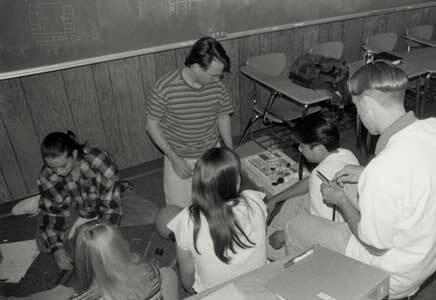 How two engineers in a garage laid the foundation for future problem solvers around the world. 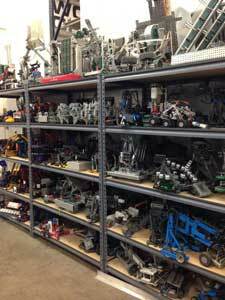 As with many startup companies, the story of VEX Robotics is that of its visionary founders. Tony Norman, an Electrical Engineer, and Bob Mimlitch, a Mechanical Engineer, met early in their careers. 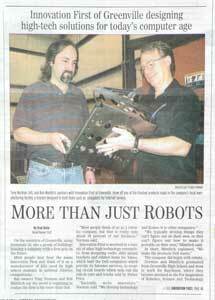 While mentoring students on a local high school robotics team, Tony and Bob discovered they both had the same beliefs about "the right way to do things" during the problem solving process. 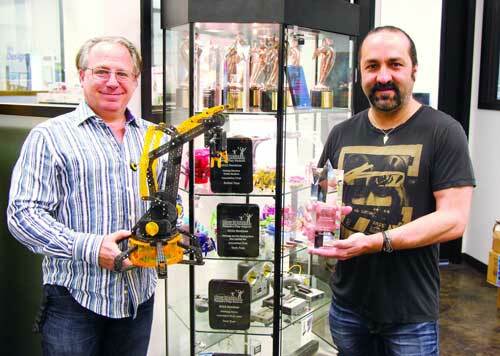 Bob Mimlitch (left) and Tony Norman (right) with the VEX Robotic Arm, winner of the TIA 2016 Educational Toy of the Year. 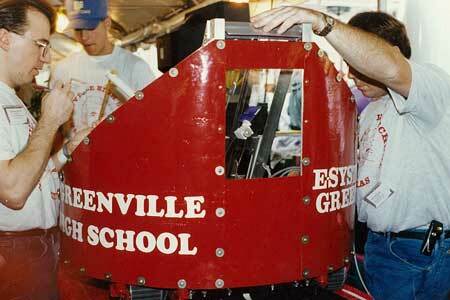 Bob and Tony admire the modern-day work of the local robotics team where they met over 20 years ago. To this day, Bob and Tony believe in the power of challenging convention. They don't believe that "we’ve always done it this way" or "this is how everyone does it" is ever a justification for a solution. They value creative approaches to problem solving; not just in engineering design but in all aspects of business. They are often able to find simple and elegant solutions by focusing on creativity early in the design process. They love "quick and dirty" prototypes which help re-frame problems, and believe in the methodical and iterative nature of the engineering design process. Most of all, both of our founders believe in the power of hard-work, and that above all else, passion will drive quality and bring success. Their passion quickly evolved into a global movement. 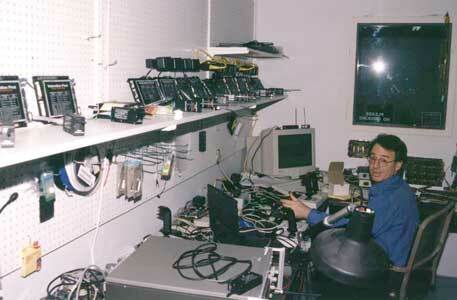 Like many other creative high-tech companies, Innovation First (IFI) originally started in a garage. 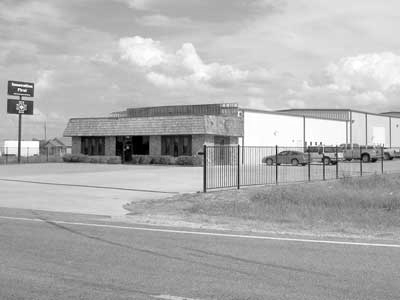 Specifically, our company was born out of Tony’s garage in Greenville, TX (about 40 miles east of Dallas). From this humble beginning we quickly grew to include three distinct divisions, over 300 employees and nine offices worldwide. 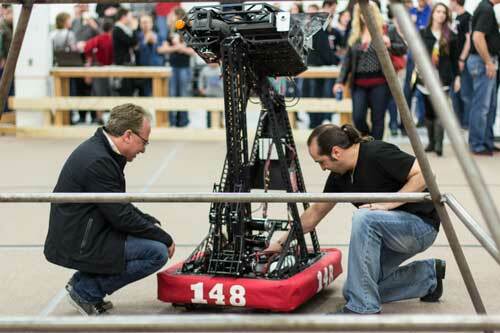 Tony and Bob continue to be passionate about STEM mentorship and founded the VEX Robotics division to carry forward their local efforts on a global scale. 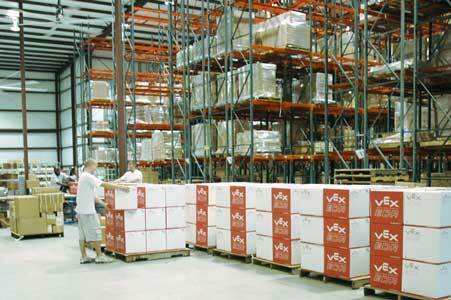 VEX lives on as IFI's largest subsidiary. 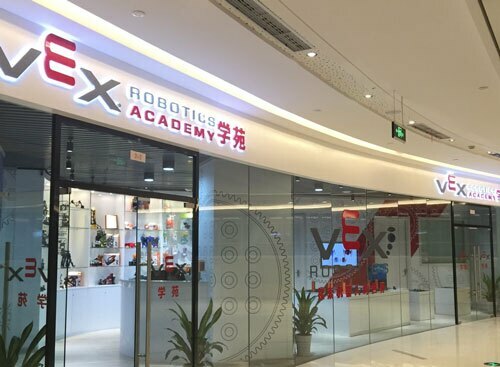 VEX Robotics Training Center in Wuhan, China. VEX Robotics is now a leading provider of educational and competitive robotics products to schools, universities and robotics teams around the world. Our VEX IQ and VEX EDR product lines span all levels of education with accessible, scalable, and affordable robotics solutions. Beyond science and engineering principles, a VEX Robotics project encourages creativity, teamwork, leadership and problem solving among groups. It allows educators to easily customizecustomise projects to meet the level of students’ abilities as they inspire & prepare the STEM problem solvers of tomorrow. 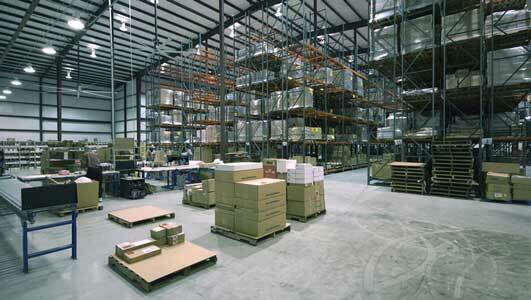 Tony and Bob remain actively involved with the company they founded. We rely on their visionary leadership as VEX continues to expand. Each actively works to cultivate and safeguard the unique culture that makes us who we are. VEX’s impact would not be possible without their continued guidance. In 2016, the VEX Robotics World Championship was officially recognized by Guinness World Records® as the World's Largest Robotics Competition. 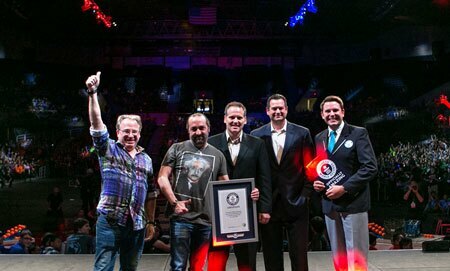 From left to right: Bob Mimlitch, Tony Norman, Paul Copioli (Former President, VEX Robotics), Jason Morrella (Former President, REC Foundation), and Michael Empric (adjudicator, Guinness World Records®). In 2016, the VEX Robotics World Championship was officially recognized by Guinness World Records® as the World's Largest Robotics Competition. This is just the beginning - read on to discover how this story shaped the values of our company.